Africa’s key central banks are expected to hold benchmark interest ra tes at their first meetings of the year — albeit for different reasons. While the drop in oil prices could give South African and Kenyan policy makers room to hold off on further rate increases, currency pressures could keep the central bank in Ghana from considering further easing for now. The South African Reserve Bank is likely to hold its main rate as consumer-price growth, which reached an 18-month high in November, eases following a drop in crude prices, said Kamilla Kaplan, an economist at Investec Bank Ltd. The central bank will probably lower its 5.5 percent annual-inflation forecast for 2019, but will reiterate that the risks to the longer-term inflation profile remain on the upside, she said. The Monetary Policy Committee will probably retain the MPR at a record high as it sees the Feb. 16 election to lead to an uptick in spending and price-growth risks. MPC members have signaled a more hawkish tone and say that inflation, which is outside the target range of 6 percent to 9 percent, could accelerate as the government deregulates the fuel industry and introduces a minimum wage. Price growth accelerated to a seven-month high in December. The central bank may raise its rate later this year and will do what it can to protect the naira, said Omotola Abimbola, an analyst at Ecobank Transnational Inc. 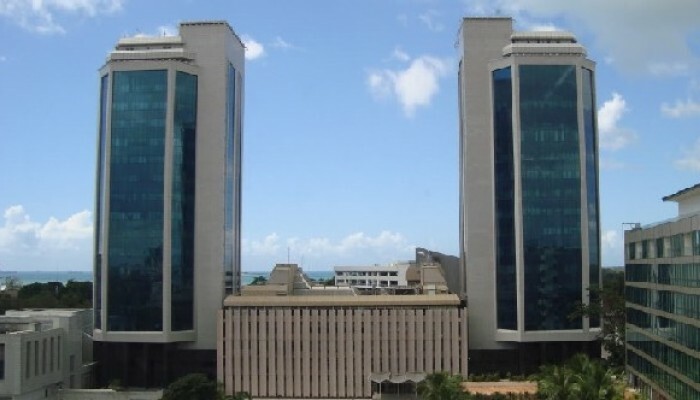 In July, the Bank of Angola cut its BNA rate, introduced in May. It will take a more cautious approach this year as a decline in crude hurts the finances of Africa’s second-biggest oil producer. Also, the government is cutting subsidies on utilities, public transport and gasoline, which poses an inflationary risk, said Samantha Singh, a strategist at Absa Bank Ltd.
Currency pressures and inflationary concerns will see the Bank of Ghana hold its key rate, said Courage Martey, an economist at Databank Group. The cedi has lost 8.6 percent against the dollar since the start of 2018, making it the fifth-worst performer among African currencies tracked by Bloomberg. The inflation rate, while within the target range of 6 percent to 10 percent, is far from the mid-point, which “gives little room for a rate cut,” Martey said. A 2016 law capping what lenders can charge consumers at four percentage points above the central bank rate is preventing many borrowers from accessing loans, constraining credit growth. A lawmaker has proposed that banks be allowed to charge higher rates based on customers’ risk profiles. Allowing this could enable the central bank to pursue a more accommodative stance, said Jibran Qureishi, an economist at Stanbic Holdings Plc. While the inflation rate has almost halved since May, the central bank should refrain from cutting the benchmark rate until there is clarity on a repeal of the rate cap, said Qureishi, who forecasts price growth will average 4.9 percent in 2019. The central bank’s target range is 2.5 percent to 7.5 percent.